LOS ANGELES, CA -- (MARKET WIRE) -- March 27, 2007 -- April is the cruelest month, and not just because Mother Earth taunts us with the promise of spring. With April 15 the deadline to settle up with Uncle Sam, it's no wonder this month has been designated Stress Awareness Month for the 15th consecutive year. But there's more to modern stress than just the tax man. With technology use at an all-time high, much of today's anxiety is a direct result of information overload. "Between my cell phone, my Bluetooth, my Blackberry and my laptop, I feel tethered to technology," says Virginia, a real estate executive in her fifties. "I'm totally plugged in and accessible 24/7, but as a result, I've lost the connection with myself and my inner peace. Listening to mantra music helps me relax and reclaim my serenity." Like the country's 40 million yoga enthusiasts, Virginia is finding that Om Namah Shivaya, Hare Krishna, Om Tara Tuttare, and other ancient mantras are anti-stress anthems making their way from the ubiquitous yoga studios onto the subways, freeways and internet super highways. People listening on their iPods, in their Priuses, and from inner space radio stations are chanting along with singer Deva Premal and other yoga artists to Sanskrit chants used for thousands of years. "We get e-mails from people sharing how this music calms them, often mentioning road rage and techno-stress," says Deva, a German-born, classically trained musician who learned to sing mantras in an ashram 14 years ago. "People are thirsty for spirit, and they find that our music provides more than just a performance, it's a spiritual experience. That's what ultimately soothes tension and calms the soul." Fans of Deva's songs of divine love include His Holiness the Dalai Lama, Cher and Edward James Olmos. Cher, in fact, cites Deva's Gayatri Mantra -- the oldest and most powerful of all mantras -- as her preferred CD for yoga, and showcased it onstage as part of her Farewell Tour. Deva Premal's version of the Gayatri Mantra has become the number one single in the yoga music category. In addition to relieving stress, fans find that chanting or singing mantras helps still the mind, improves memory and focus, and creates a sense of well being. These benefits are evident whether the chanter understands the meaning of the ancient language or not. It is simply the vibrations of the sacred syllables that turn the body into a cosmic resonator, opening the heart and mind while unlocking the door to one's inner psychic world. Taxes and technology will always be part of our reality. But it's nice to know stress relief is just a soulful song away. Deva Premal offers tips on using mantra chanting to relieve stress at www.DevaPremalUSA.com, where you can sample her yoga music and download text of mantras from many of the world's spiritual origins. 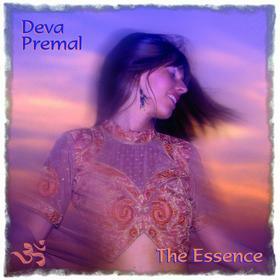 Click here for an inteview soundbite of<br> Deva Premal and musical partner, Miten. Deva Premal's music has <br>become a high-stress antidote <br>in today's high-speed <br>world. Her version of <br>'The Gayatri Mantra' is the <br>#1 selling single in the <br>yoga-lifestyle music category <br>(click here to listen).